LinkedIn used to be the forgotten social media site. But thanks to a reboot from new owner Microsoft, it has grown both in users and frequency of visits in the last few years. 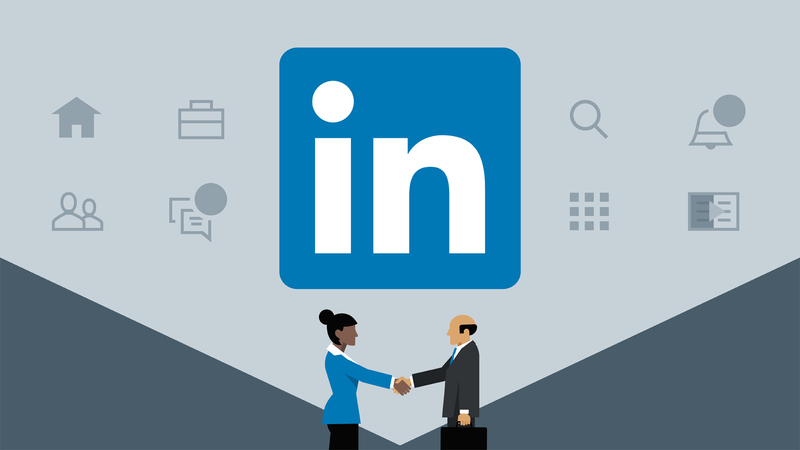 If you’re looking to build up your network and find more customers or collaborators this year, LinkedIn is the channel to be on. Follow these five tips to keep people engaged. You should definitely have a company page for your business. But don’t think that people won’t also click over to your personal page. Personal profiles get more views, and increased engagement, partly because you cannot send connection requests from a business page. Users are also more likely to follow and engage with a person, rather than a brand. If there’s an interesting industry article you want to share, post about it on your personal profile. If there’s an update that goes up on your company page, share it from your personal page as well. You might think that if you aren’t looking for a new job, that you don’t need to pay attention to this profile. But that is not the case! Potential new contacts from conferences or events will likely look you up here, as well as collaborators, or even journalists who want to speak with you. Keep it updated and full of as much information as possible. If you want to be seen as a real industry expert on LinkedIn, your page needs a professional appearance. This starts with your photo. A random image pulled off your Instagram page is not going to cut it for your LinkedIn headshot. Hire a professional photographer for this shot, or at the very least, a buddy with a good camera and the ability to edit. You don’t necessarily need to be in a suit and tie, but make sure the image is appropriate to your industry and shows that you are professional. Investing in this photo can be helpful for speaking engagements, your website, online profiles, and your other social media pages. The first step to finding new contacts on LinkedIn is filling out your existing network. Remember – for every first degree connection you add, you instantly gain hundreds of 2nd-degree connections and thousands of 3rd-degree connections. Start by searching for former coworkers, classmates, or other relevant contacts from various phases of your life. If you think they might need a refresher on who you are, add a note that explains why you’d like to connect. Recommendations and endorsements on the bottom of your profile can give you a big leg up when you’re trying to connect with new people. Ask professional contacts and past clients or supervisors to recommend you. Ask if they can share specific details about whatever it is you want to feature. Reach out and inquire if they’d be willing to write you an endorsement for your LinkedIn. Four or five is a great start, and you should aim to get them from your most established connections. These up your cred on the page, and provide proof that you’re an established and credible professional. Consider making this the year you polish your LinkedIn and finally use it as a networking tool. You never know what life-changing connection might be on this social media network.